. كما يقدم Waldorf Sydney Serviced Apartments الكثير من الخدمات لإغناء رحلتك في سيدني. إن مصعد هي جزء فقط من الخدمات التي تميز Waldorf Sydney Serviced Apartments عن باقي الفنادق في المدينة. لقد جهزت هذه الإقامة الفندقية بعناية فائقة لتوفر مستوى عالي من الراحة. في بعض الغرف يجد النزيل غرف لغير المدخنين, مكيف هواء, تدفئة, مكتب, شرفة/ تراس. كما أن مجموعة الخدمات الواسعة الموجودة في الفندق لضمان راحتك تترك لك الكثير من الخيارات لقضاء وقتك أثناء فترة إقامتك. مهما كانت أسبابك لزيارة سيدني، فإن Waldorf Sydney Serviced Apartments هو الخيار الأفضل لإقامة مثيرة وممتعة. يرجى العلم أن مكتب الاستقبال يعمل من الساعة 7:00 صباحًا، ولديه ساعات محدودة. إذا كنت تتوقع الوصول بعد الساعة 05:00 مساءً، يرجى الاتصال بالعقار مباشرة للحصول على تعليمات تسجيل الوصول. واي-فاي/خدمة الإنترنت متوفرة في هذا العقار (مجانًا حتى 1 جيجابايت في اليوم). Could provide a few more amenities such as extra towels and bedding. Also, dishwashing detergent instead of just dishwasher powder to save energy and water. 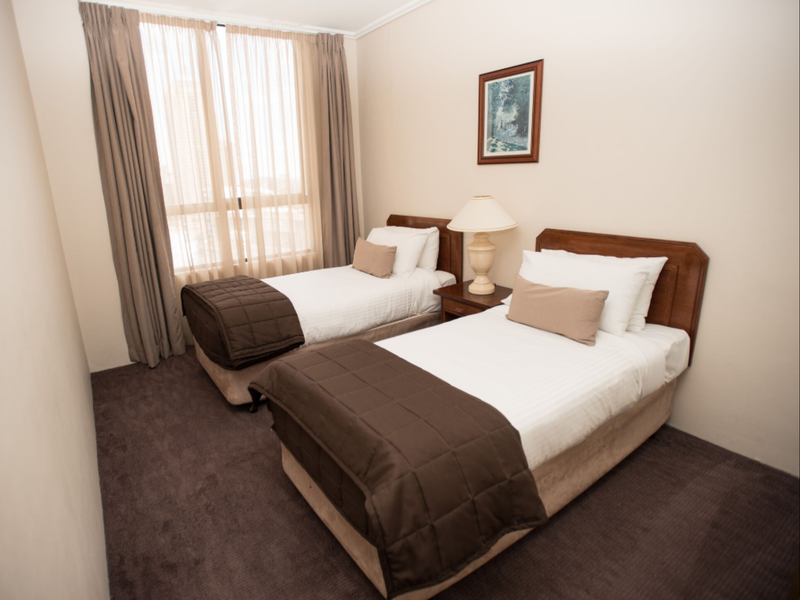 Every time we come to Sydney, we stay in Waldorf Serviced Apartments in Liverpool Street. While it doesn’t have a lot of amenities, its location is perfect; its apartments are thoughtfully provisioned with things that will make for a great stay like good crockery, cooking utensils and toiletries, steam iron, even milk in the fridge for that important morning cuppa. And while the front desk is not manned outside office hours, there’s a phone number to call and the manager comes onsite quickly when necessary. Some of the rooms have been newly, beautifully renovated and others perhaps not yet. But every apartment is very clean, spacious and comfy. Even though we are usually Airbnb folks, we love staying here. The apartment is in an amazing location: it's near Darling Harbour and Town Hall and the Museum district is only a short walk away. It is rather old though but it's clean and the facilities work well enough, save for some small appliances like the hairdryer. The heater only works for the living room and it can get cold in the bedrooms. There's plenty of space in the 2 bedroom apartment for a family of 4 adults. What I didn't like is that the reception closes at 2pm and the latest check out time is 10AM the morning without any luggage storage services and that was not very good for us as our flight home is at night. Fortunately there was a luggage storage service in the World Square shopping centre right nearby. There is also a supermarket(Coles) in that shopping centre so any provisions can be obtained there. The apartment was a good size. But it certainly could do with a good clean. Great location, clean and well serviced although it is a little tired and could do with a reno but we still enjoyed our stay. Located very near to Chinatown and Darling Harbour. Walking distance to other major attractions in CBD. Convenient to buy things and plenty of F&B choices. Downside is no services for rental less than 7 days. Cooking facilities & laundry and dryer are really useful. Just few minutes away from coles where we bought groceries, chocolates and some souvenirs. Lots of choice of eateries , Malaysian cuisine nearby - papparich, hawker, petaling street... Walking distance to darling harbour, Chinatown, ANZAC memorial & Sydney Tower. Nearby stop for Big Bus Sydney. Reception is only opened from 9am-2pm but the staff is friendly. Late check in by a phone call to get access to key from key box located outside building. Good for small families, 2 bedroom apartment can sleep up to 5 with extra bed. The apartment is spacious and located in strategic location,. However furniture is outdated. 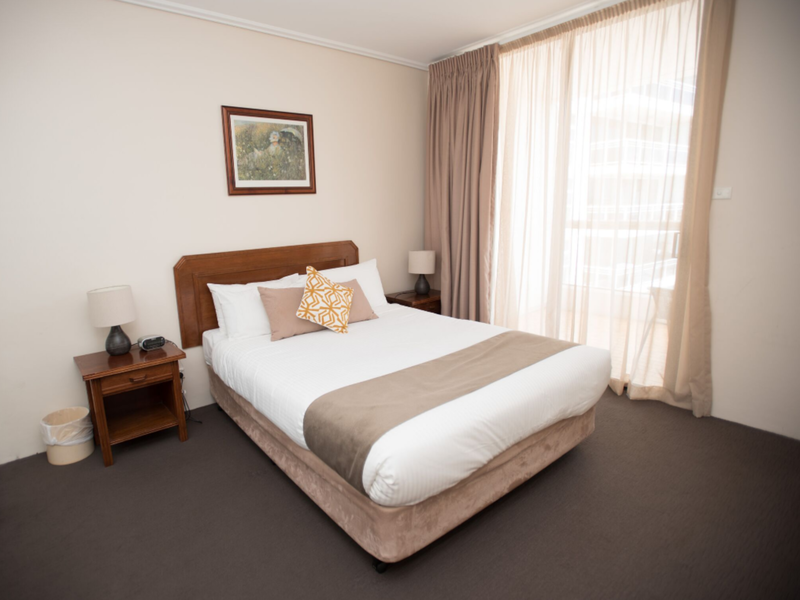 Location was excellent - easy walk to Darling Harbour and Pitt Street Mall. Easy walk to Museum bus stop etc. Lots of places to eat close by, and the Coles supermarket a two minute walk away also. Lovely friendly receptionist. it is very convinent to the darling harbor, shopping places and restaurants. The building is a little bit old, but it worth the money you pay. Deco a bit outdated with carpet a bit old, but generally clean Given the great location , it was a good deal! We stayed at the Waldorf for 1 week. You couldn't ask for a better location. The apartment was roomy but dated. It was convenient to have a full kitchen and washer and dryer in the apartment. The beds were comfortable. They have parking available and wifi in the lobby only. The staff is fantastic and very helpful with recommendations and directions. Pros: Excellent location, walking distance to major central Sydney attractions and plenty of eateries, secured parking at no cost, has facilities and amenities of a typical hotel/apartment. Cons: Not well maintained, a few items were not working (TV remote broken, wardrobe door - 1 stuck, 1 off the track, and living area light cover was off and bulb not working). We advised the manager, was told that maintenance only come once a week. We were there for 8 days but nothing was fixed in that time. We killed 2 small cockroaches during our stay there. Summary: Good value for money, coupled with the free parking on site in central Sydney! That is if you can live with a few items that may be broken or not working and the overall old appearance inside. The unit was alright for the four of us. Equipped kitchen. However, lights were rather dim and some weren't working. The dryer wasn't working too well. Decor of the apartment was dated and carpet would need more thorough vacuuming. We could bear with all of these but the greatest downside was the lack of wifi in the apartment. The location was great and very accessible. Rooms and living area was spacious, kids could run around and play. The Manager and Staff were very friendly and helpful.